So after my last post on those awesome feather capes I decided to do a post that I have not done n a long time. A nice easy “How To Do” post for our D.I.Y readers. Found this simple tutorial on chic-steals.com and thought it was great. Cut a piece of the feather fringe to the size you want for your cape. Attach two pieces, about a foot long, of the satin ribbon to each side of the fringe using glue and I would make a small knot. Heat seal with the lighter the raw edges of two small pieces of ribbon, about one inch long, and use these to cover the raw edges of the feather fringe where it connects with the ribbon. 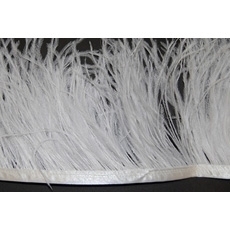 Now cut the edges of the larger ribbons that are connected to the feathers on an angle. Use the lighter to heat seal the ends of the ribbon and you are done.